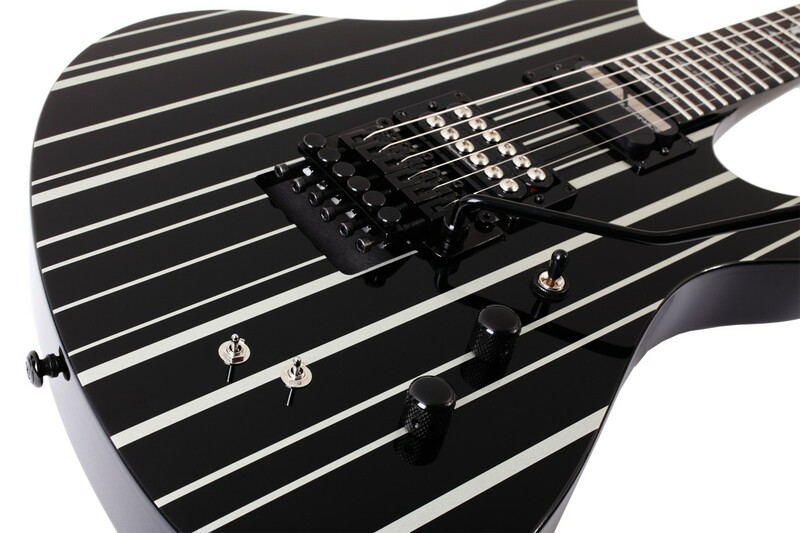 There are metal guitars, and there metal monsters like Schecter’s Synyster Custom-S with its black and silver pinstripes. Modeled after the guitar that Synyster Gates plays onstage, this axe’s secret weapons are the Seymour Duncan Invader and Sustainiac drivers and pickups that give you shockingly heavy tones and unstoppable sustain. The solid body electric guitar’s body and neck are mahogany, giving you a lightweight instrument that’s durable and rich with sustain. 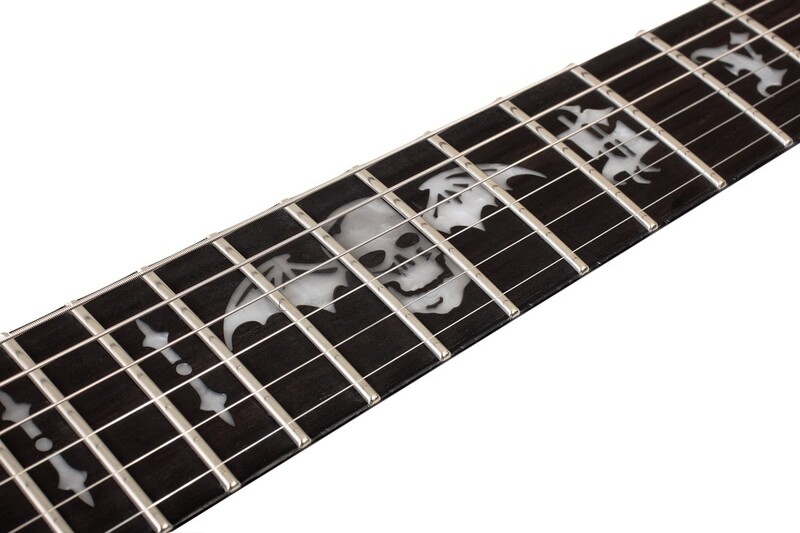 The stylish flat ebony fingerboard provides a crisp, percussive attack, and the UItra Access neck makes reaching the 24 jumbo frets easy as you shred. 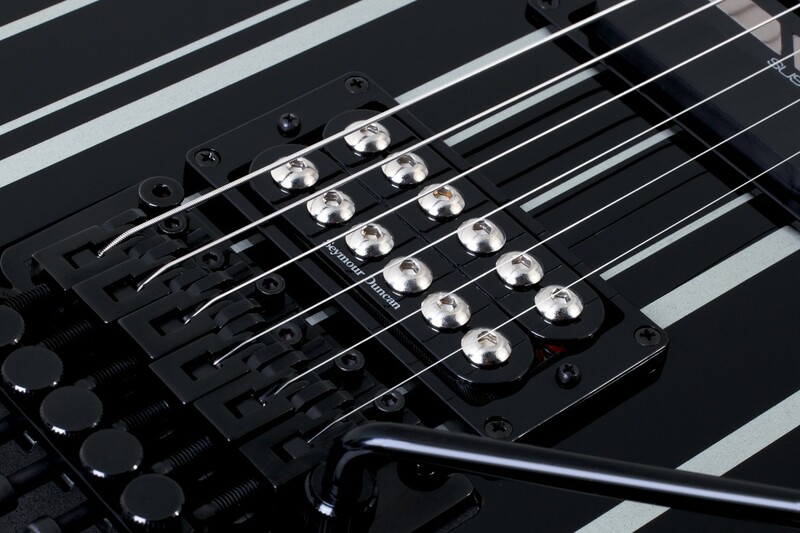 The Floyd Rose 1000 Series bridge accommodates serious rockers who demand performance, as it lets you get into the music without worrying about un-tuning the guitar. At the same time, the Grover Rotomatics 18:1 tuners give you stability and precision as you bend the strings with confidence. As you bust out solos, count on the Sustainiac pickup to deliver screeching feedback and awesome harmonics. When you play the Synyster Custom-S, your head-banging dreams will come true. Inlay: "SYN" w/ "Death Bat"
Formed in 1999, Avenged Sevenfold have pushed the metal/rock/guitar gods walls further away from the rest of the world. 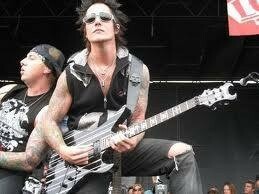 Hailing from Huntington Beach, California, the menace of Synyster Gates & Zacky Vengeance have given rise, once again, to the dueling ferocity of six string madness. 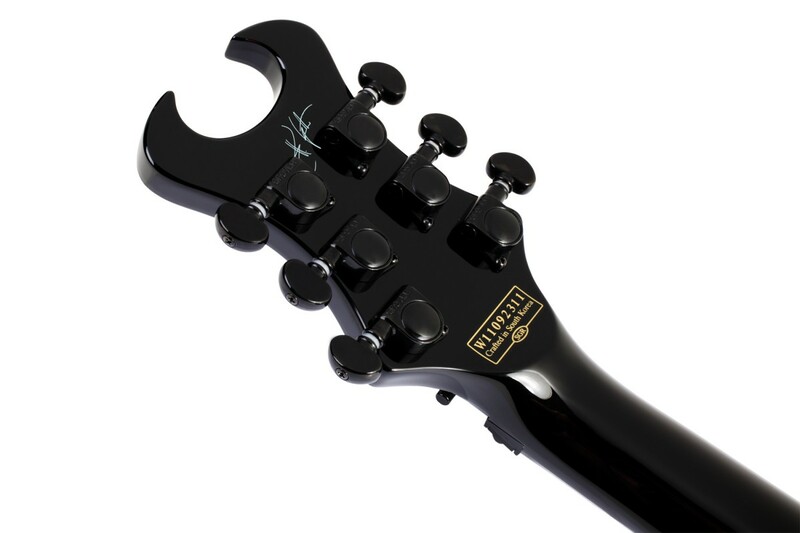 Schecter Guitars has been at the forefront of their onslaught through it all.